To support dogs abroad, Click Here to visit our shop and be sure to select – The Animal Hope & Wellness Foundation. 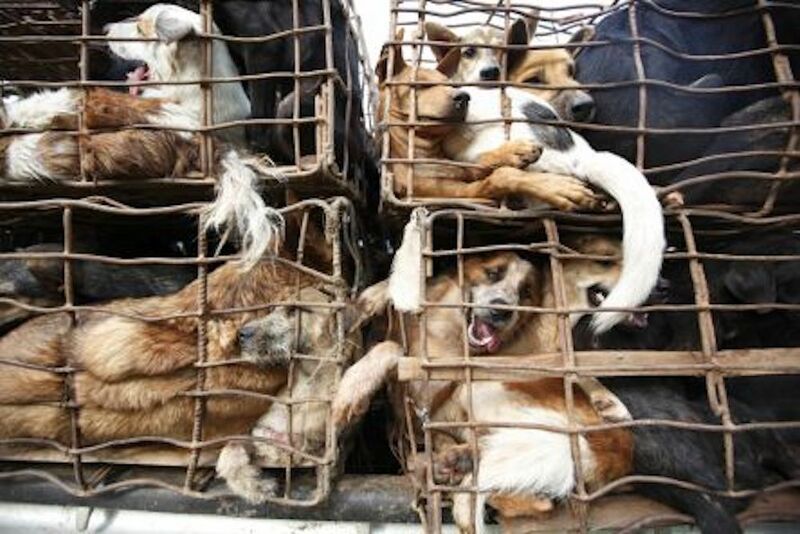 Each year throughout Asia, millions of dogs and cats are brutally tortured and abused before being slaughtered for their meat. Many of which, are stolen pets. Animals are hung, beaten with metal pipes, skinned, boiled and burned alive. Sadly, that’s not the worst of what the animals endure. This abuse takes place under the misguided belief that the torture tenderizes the meat and provides those who consume it with good luck and health benefits. After becoming aware of this trade, Lab Tales Founder, Anne Soares was determined to be part of the solution rather than turn away. As human beings; when we become aware of something so horrific we have a responsibility to stand up for those who can’t speak for themselves. There are many organizations that not only rescue dogs and cats from this horrific trade, but they are working tirelessly to change the laws and educate people throughout Asia in order to stop these practices permanently. To learn more about the brutal dog meat trade, watch this short video. WARNING – some content may be upsetting.